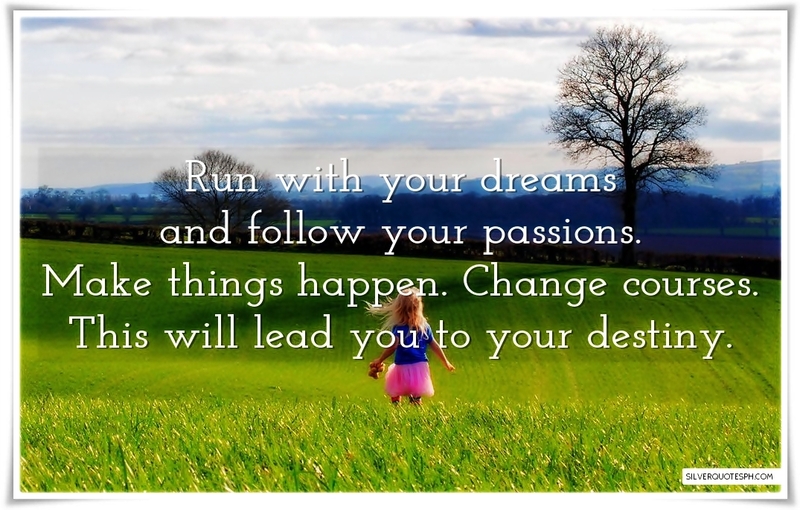 Run with your dreams and follow your passions. Make things happen. Change courses. This will lead you to your destiny.